Bashar Nuseibeh is Professor of Computing at The Open University and a Professor of Software Engineering and Chief Scientist at Lero - The Irish Software Research Centre . He is also a Visiting Professor at University College London (UCL) and the National Institute of Informatics (NII), Tokyo, Japan. Previously, he was a Reader (Associate Professor) in Computing at Imperial College London and Head of its Software Engineering Laboratory. 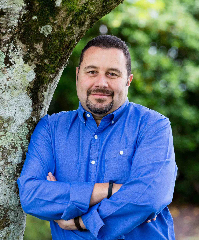 He has had a career-long research interest in requirements engineering (RE), having helped organise the first RE conference in 1993 in the USA, co-founded the first national (British Computer Society) RE specialist group in the UK in 1994, and served as programme chair of RE’01. His research interests in RE have broadened over the years, continuing to advocate a problem-driven perspective in software engineering of mission critical systems, and increasingly engaging with socio-technical systems that cut across digital, physical, and social spaces. Much of his research in recent years has explored security and privacy requirements of modern software systems, and the engineering autonomy and adaptation in those systems. Bashar is a longstanding and founding member of the editorial board of the RE Journal, and served as Editor-in-Chief of IEEE Transactions on Software Engineering and of the Automated Software Engineering Journal. He currently serves as Editor-in-Chief of ACM Transactions on Autonomous and Adaptive Systems and IEEE Security & Privacy Magazine. He chaired the Steering Committee of the International Conference on Software Engineering (ICSE) and Chaired the IFIP Working Group 2.9 on Requirements Engineering, of which he is a founding member since 1995. He received an ICSE Most Influential Paper Award, a Philip Leverhulme Prize, an Automated Software Engineering Fellowship, and a Royal Academy of Engineering Senior Research Fellowship. He received an IFIP Outstanding Service Award (2009) and an ACM SIGSOFT Distinguished Service Award (2015). His Open University research team received the 2017 IET Innovation Award in Cyber Security, and as Chief Scientist of Lero was the recipient of the IEEE TCSE Distinguished Synergy Award for research-industry collaboration. He is the recipient of a Royal Society-Wolfson Merit Award and two European Research Council (ERC) awards, including an ERC Advanced Grant on ‘Adaptive Security and Privacy’. He is a Fellow of the British and Irish Computer Societies, a Fellow of the Institution of Engineering & Technology, and a Member of Academia Europaea. Marsha Chechik is Professor in the Department of Computer Science at the University of Toronto. She received her Ph.D. from the University of Maryland in 1996. 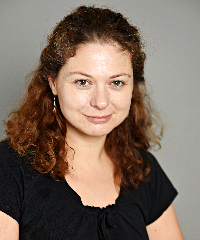 Prof. Chechik’s research interests are in the application of formal methods to improve the quality of software. She has authored numerous papers in formal methods, software specification and verification, computer safety and security and requirements engineering. In 2002-2003, Prof. Chechik was a visiting scientist at Lucent Technologies in Murray Hill, NY and at Imperial College, London UK, and in 2013 – at Stonybrook University. She is a member of IFIP WG 2.9 on Requirements Engineering and an Associate Editor in Chief of Journal on Software and Systems Modeling. She is has been an associate editor of IEEE Transactions on Software Engineering 2003-2007, 2010-2013. She regularly serves on program committees of international conferences in the areas of software engineering and automated verification. Marsha Chechik has been Program Committee Co-Chair of the 2018 International Conference in Software Engineering (ICSE18), 2016 International Conference on Tools and Algorithms for the Construction and Analysis of Systems (TACAS'16), the 2016 Working Conference on Verified Software: Theories, Tools, and Experiments (VSTTE16), the 2014 International Conference on Automated Software Engineering (ASE'14), the 2008 International Conference on Concurrency Theory (CONCUR'08), the 2008 International Conference on Computer Science and Software Engineering (CASCON'08), and the 2009 International Conference on Formal Aspects of Software Engineering (FASE'09). She will be PC Co-Chair of ESEC/FSE'2021. She is a Member of ACM SIGSOFT and the IEEE Computer Society. Human Values in Software: A New Paradigm for Requirements Engineering? Requirements engineering (RE) has generally done a good job of helping to define software systems with the intended functionality and cost and that is safe, secure and reliable. However, there is a broader set of human values -- such as transparency, integrity, diversity, compassion, social justice -- that are largely ignored when we develop software systems. In this talk, I will argue that RE methods should place more emphasis on these human values so we do a better job of building software that aligns with our individual, corporate or societal values. Furthermore, drawing on recent evidence from case studies in industry, I will argue that dealing with human values in software systems is not just of interest to a small group of organisations; rather, all software projects should think about human values, build them in where appropriate, test for them, and use them to drive design decisions. When they are not dealt with in this way, there can be severe social and economic consequences. 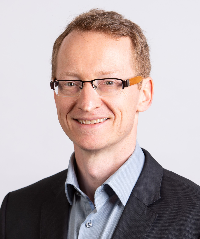 Jon Whittle is Executive Dean of the Faculty of Information Technology at Monash University, Melbourne, and Professor of Software Engineering. Before joining Monash, Jon was Head of the School of Computing and Communications at Lancaster University, UK. Jon’s research spans software engineering and human-computer interaction. In software engineering, he is best known for his work on program and design synthesis, model-driven development and aspect-oriented modelling. He is a past recipient of the Royal Society’s Wolfson Merit Fellowship, a Pilkington Teaching Award for his studio-based approach to software engineering education, and an IET Software Premium Award. He has also received a number of Best Paper awards or nominations at ICSE, ASE, RE, MODELS, CSEE&T and CHI. Jon has Chaired a number of prestigious software engineering conferences and recently co-Chaired ICSE 2019 with Tevfik Bultan. Currently, Jon’s research focuses on IT for social good and, in particular, how to reimagine software design methodologies to embed social values.